Kristian Moree was born in Freeport, Bahamas. He is a graduate of Sunland Baptist Academy’s Class of 2015, where he served as the Head Boy and graduated as the Valedictorian with a 4.0 GPA. 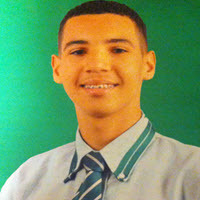 In the 2015 sitting of the BGCSE examinations, he obtained 6 subjects with ‘A’ grades, bringing his total to 11 subjects with 11 ‘A’ grades. He is a participant in the Governor General’s Youth Award scheme, having completed the Bronze and Silver Levels, with his Gold Level pending. He is the past Vice President, and immediate past Treasurer of the school’s Key Club. He was selected as the best debater at the Model United Nations Session (MUNS) held in Nassau in April 2013, and in 2014, he was once again a candidate for the award, and led his team to a 3rd place finish overall. He has been an assistant coach in the Rising Stars Pee Wee soccer league at the YMCA for the past two years. His other interests include playing soccer, golf, and drumming.